Every year before heading into the holiday season surrounding Thanksgiving, Christmas and New Year’s Eve I open up a document labeled the “Holiday Plan” but what I really call in my heart the “Spreadsheet of Joy.” How can a plan be joy filled? 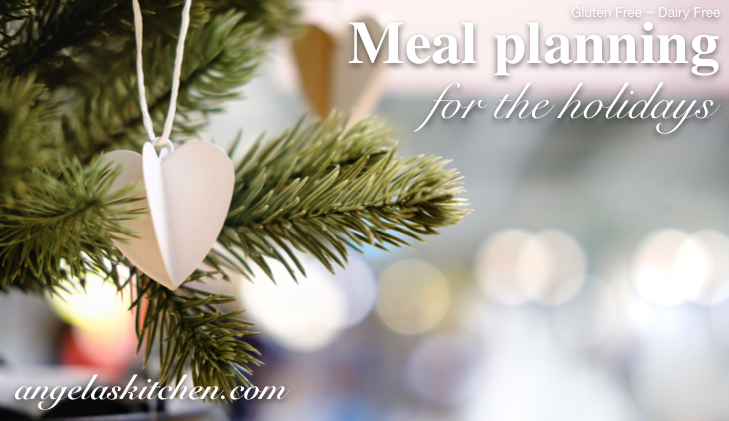 For me a little planning goes a long way to help me create the kind of holiday season I want to give my family, while at the same time a season that will ALSO bless me and give me rest I need in the midst of all the craziness during the busy days. 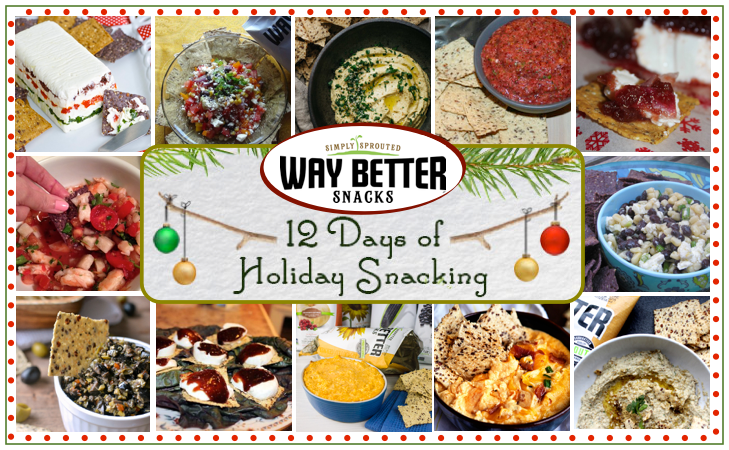 I was thrilled to be part of Way Better Snacks 12 Days of Holiday Snacking! 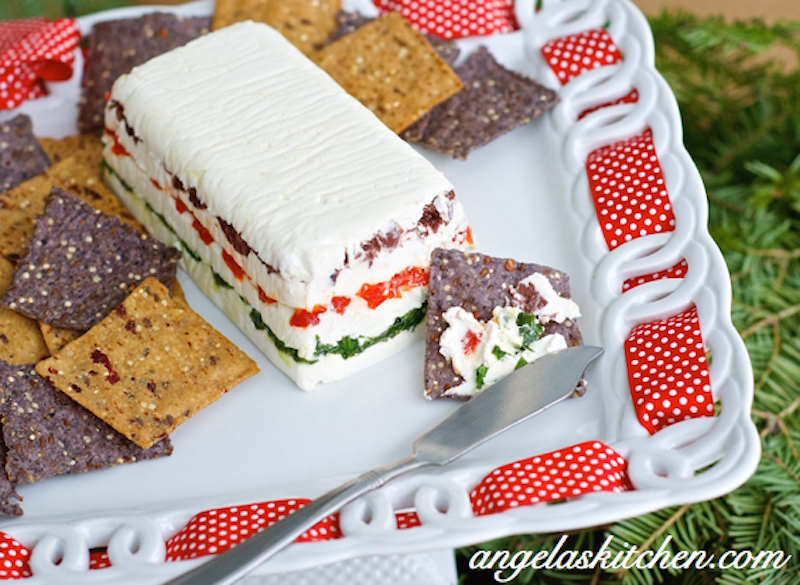 Here is a round up of all the delicious things from the bloggers who participated ~ twelve amazing snacks as we counted down to the holiday season. Be sure to stop by each of the links below and tell these awesome bloggers a big “Thank you!” for coming up with such delicious and inspiring treats. 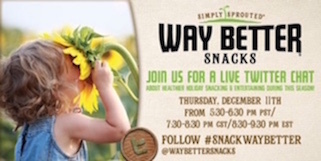 Grab a bag of your favorite flavor of Way Better Snacks and whip up a a dip to share with family and friends as you celebrate the New Year. Enjoy! 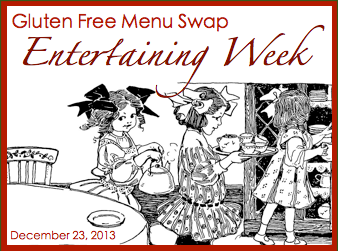 Heather is hosting the Gluten Free Menu Swap over at Celiac Family this week. The theme is “Entertaining.” The big entertaining I do for the season is a cookie decorating party. 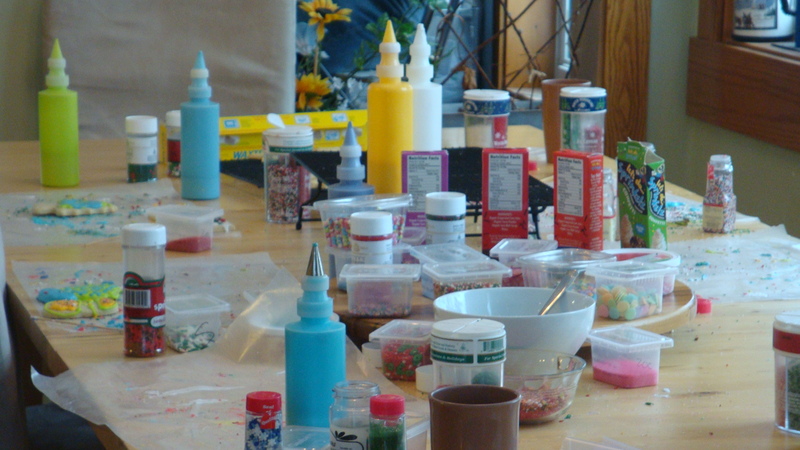 Basically we make a bunch of cutouts and frosting, put out my crazy sprinkle stash, then people drop by throughout the day to frost-till-they-drop. It is totally fun! I love watching the creative ideas that the kiddos come up when cookie decorating. I like to have Taco Chili and Chicken Wild Rice Soup in a couple of slow cookers in case people are here over lunch and/or supper. Cookie decorating with our friends is one of the things my kids look forward to every year! I’ll do a full post on hosting a cookie party this weekend, if you are interested. It is really quite simple and a lot of fun. The week’s breakfast options: I have been experimenting with some high-potein breakfast options (with and without eggs), so will keep experimenting with these. The week’s lunch options: Leftovers, deviled eggs or whatever we feel like picking up. Kids choice! Tuesday: Christmas Eve! Herbed Roast Beef, Swedish Potato Pudding, Lingonberry Sauce, Fresh Spinach Salad, Cranberry Relish, Rice Pudding, and Cut-Out Cookies. 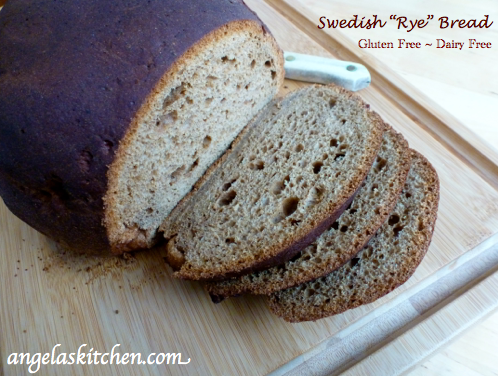 We will also have gluten free Lefse and gluten free Swedish “Rye” Bread at the meal. This is being shared at Menu Plan Monday at Organized Junkie. 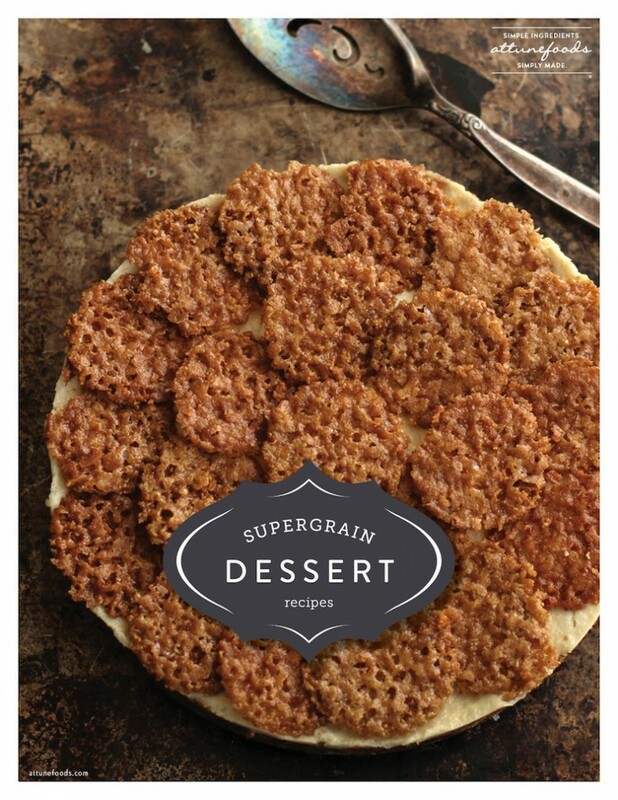 For some AMAZING desserts for the holiday season check out the Supergrain Dessert E-Book from Attune Foods. 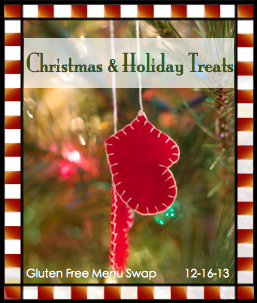 Heather is hosting the Gluten Free Menu Swap over at Celiac Family this week. The theme is “Christmas and Holiday Favorites.” I think everyone has standard things they make every year. In our family, we have our Christmas dinner on Christmas Eve and open family gifts. On Christmas morning there are the socks from Santa along with one or two things that Santa left under the tree followed by brunch. For both meals, the treats are usually a mix of different Christmas cookies like Allergen Free Brownie Bites, Jam Filled Thumbprints, Ginger Snap Biscotti, Lemon Shortbread Cookies, Ginger Snap Cookies, Apple Cardamom Biscotti, Basic Cut-Out Sugar Cookie, Candy Cane Cookies, Peanut Butter Blossom Cookies, Pecan Pie Bars, Russian Tea Cakes, Shortbread Cookies, Snickerdoodles and Spritz. I don’t make ALL those cookies, of course, but we usually have the cutouts, and then everyone gets to pick their favorite for us to bake together. My grandparents were Swedish, so on Christmas Eve we usually have Potato Pudding, a roast or Swedish sausage, lingonberry sauce, cranberry relish, lefse, Swedish “Rye” Bread, various pickles, and a big salad. I like to add crisp roasted Brussel sprouts or other veggie to the mix. What are your favorite holiday goodies? Freezer cooking this week: I’ll continue to work on my Christmas baking a bit at a time and stashing it in the freezer for the holiday. I’ll also be putting Beef and Butternut in the freezer for another day. The week’s lunch options: Nut or seed butter sandwiches (on banana bread or gluten free Amish Friendship Bread), Salmon & Sweet Potato Cakes, hard boiled eggs, various fruit, and veggie sticks. 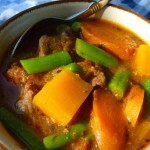 For the freezer: Make a second batch of Beef and Butternut Stew for freezer while assembling dinner. Package the freezer meal in a gallon sized freezer bag. Remove as much air as possible, seal, label and freeze. It is time again for Secret Recipe Club reveal day! Woo-hoo! What is the Secret Recipe Club? It’s a lot like Secret Santa, but with recipes. Each month you are assigned a blog. 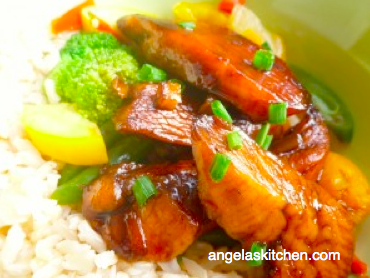 After selecting a recipe from that bloggers repertoire, you make and post it on reveal day. 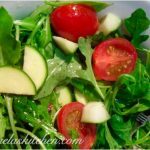 It is a great way to find fun recipes and blogs. I like how it gets me to actually sit down and go through another person’s blog. Blogs are a lot of work and take time to put together. Instead of skimming through just the new stuff (as is usually easier when we see a new blog) it is fun to really sit down and go through what else the blog has to offer. Fun stuff! 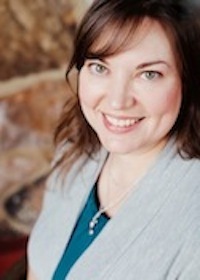 This month my assignment was Heather’s blog, Join Us, Pull Up a Chair. I love the yummy variety of things on her blog. SO many yummy, yummy things, like Crunchy Quinoa Salad, Cranberry Chutney, Garlic Scape Pesto, Banana Cupcakes with Peanut Butter Frosting, Quinoa Pizza Bites, German Chocolate Pecan Pie Bars and Italian Chard Soup. Swoon! I wanted to pick something I could bring to the holiday celebrations that are happening now. 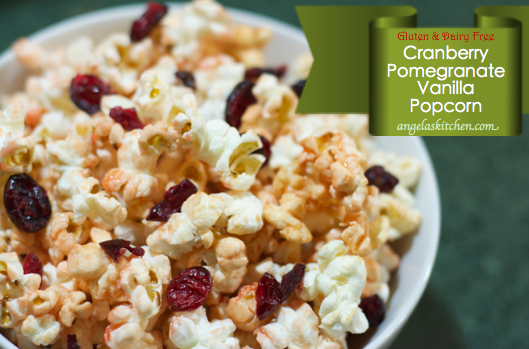 As my kiddos love popcorn, we made a Christmas variation of Heather’s Valentine’s Day Popcorn. Because of our allergies and how we roll, I don’t use microwave popcorn, so adapted the recipe to cook in our Whirley Pop popcorn popper. I also wanted to avoid food dye so we could share this with friends who can’t eat food dyes, so replaced the color with 100% pomegranate juice. It worked like a charm! And the very subtle pom flavor mixed nicely with the vanilla. To make everything a bit more seasonal, I tossed in dried cranberries. Thanks for the inspiration, Heather! I can’t wait to try more recipes from your blog. Stir together sugar, pomegranate juice and vanilla. Set aside. Measure popcorn and set aside. Put coconut oil three popcorn kernels to the whirly pop. Snap down the lid. Put pan over medium-high heat and start cranking the handle on the pan to stir. When the there kernels have popped, add sugar mixture and popcorn to pan. Close pan cover. Continue to crank handle on whirly pop until popcorn finished popping. When all popcorn has popped, remove from heat. Pour popcorn into a bowl or pan and salt to taste. Toss with dried cranberries. Any left over popcorn can be cooled completely before storing in an air-tight container. If you have been following along my blog for awhile, you know I love the line of gluten free cereals from Attune Foods. Non-GMO, whole grain, gluten free and delicious? Yep, sign me up! And while the cereals are wonderful in the standard cereal bowl for my morning starter, but they are so versatile in cooking savory things, too. I use Erewhon Crispy Brown Rice Cereal as a panko bread crumb replacement on Chicken Confetti Bites and Erewhon Cornflakes add the perfect crunch to Dairy Free Buffalo Chicken Bites. When Attune came out with a line of cereals using some of my favorite gluten free super grains, I just had to try them. Toss a handful of Buckwheat and Hemp Cereal on dairy free coconut yogurt, add a few blackberries, and you have an amazing breakfast. My kids like adding dried fruit and almond milk to the Quinoa and Chia Cereal to start their day. Though, honestly, I have to say I often just eat it straight from the box by the handful for a quick snack. The whole grains keep me full and my tummy satisfied, and while the toasted crunch satisfies my tastebuds. Yum! I was thrilled to be asked to contribute a recipe using Attune’s Supergrain Cereals for their Supergrain Dessert E-Book from Attune Foods. 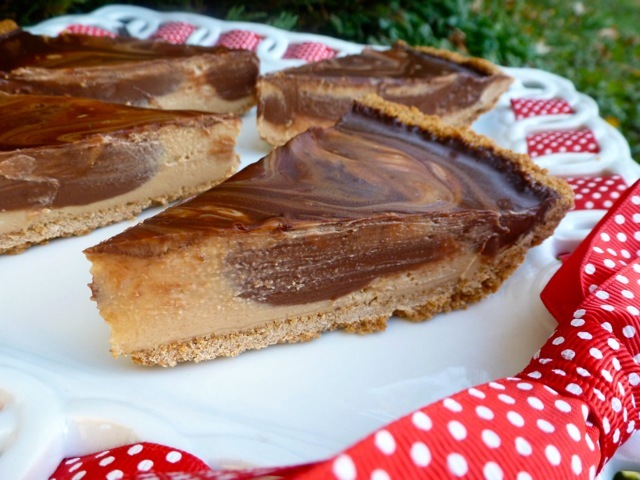 I use the delicious crunch of Quinoa and Chia Cereal to make the crust of this Gluten Free Dairy Free Chocolate Peanut Butter Refrigerator Pie. If you don’t eat nuts, their are instructions in the recipe for replacing the peanut butter, and the recipe does not contain eggs. 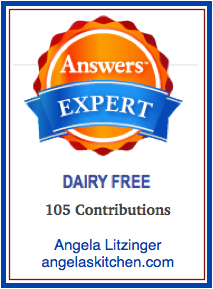 Visit Attune Foods to download your FREE copy of the Supergrain Dessert e-book. I am probably one of the few people that was glad when our doctor told us our daughter had celiac. The other things they were testing my sweet little girl for were were scary and, frankly, food was my hobby. Then Christmas arrived. Yeah… that was when I missed foods made with gluten. Why? Well, any of you who are gluten free know why. Holidays are the time the reality of food allergies seem to hit hardest. I was worried my kids would never eat the cookies that were the ones I made every year that were made from my grandmother’s recipes. The cookies I remember from Christmases when I was young. They would miss out on the lefse and Swedish Rye Bread, Swedish sausage and potato pudding that were the foundation flavors of Christmas for my family. I wanted to keep those flavors, the smells and tastes alive. The food traditions of my family were being threatened and that did not sit well with me.